In the beginning there was Lincrusta. Well, actually there was Lincrusta, Salamander and Cameoid. Salamander was a asbestos based derivative of Lincrusta (rarely found nowadays) and Cameoid was more of a “card” based product. 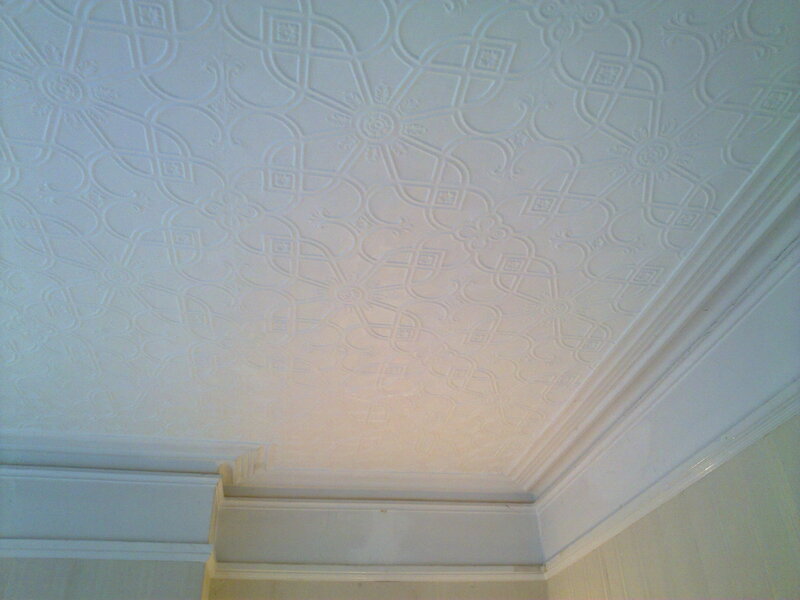 As an Advanced Lincrusta Installer, I tend to come into contact with quite a few examples of patterns that people term as Lincrusta, only to find that it is Cameoid. 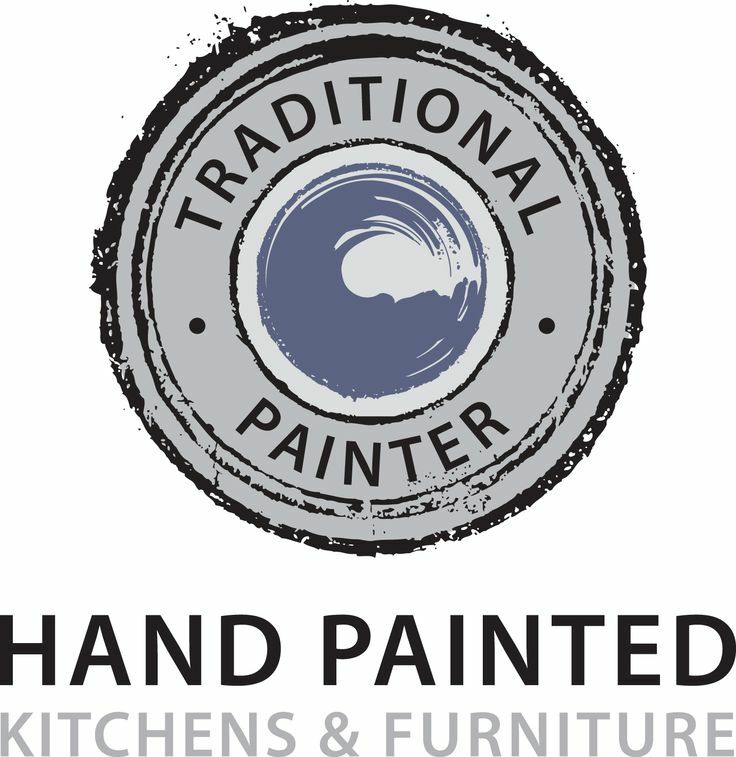 Over the years I have developed various techniques that have enabled me to restore early examples of historically important ceilings and wall coverings back to their former glory. As such I am the only Specialist Cameoid Restorer. 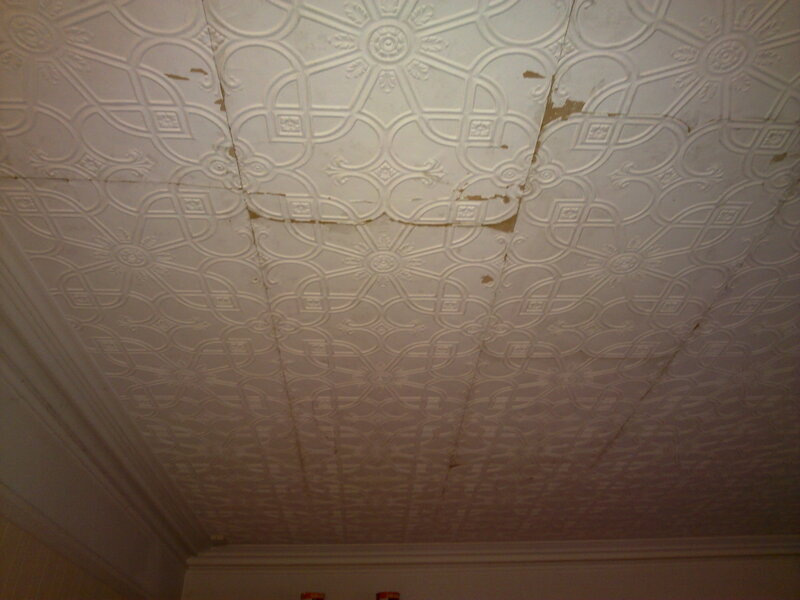 Below is an example of a project that an Insurance Company contacted me to restore in Caversham, Reading. 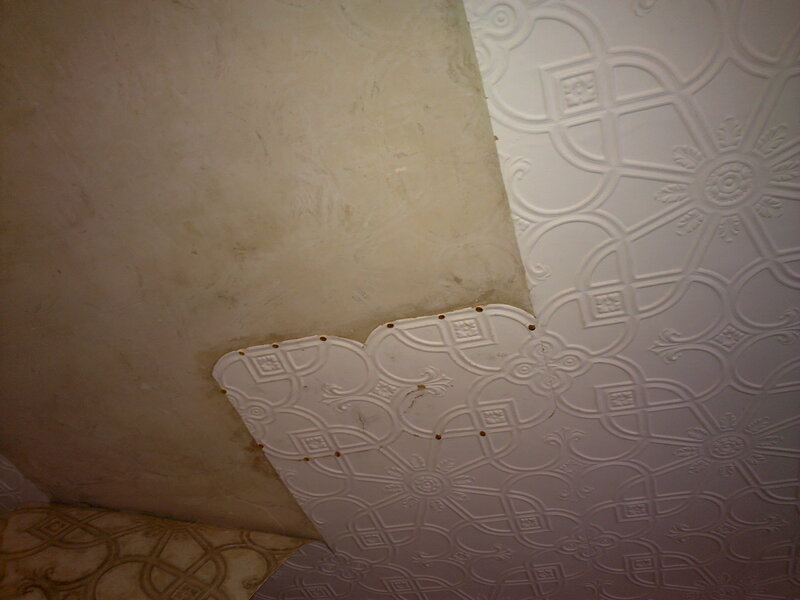 A “Lincrusta” ceiling had been exposed to water damage, over the years, mould had built up behind the pattern and loosened the adhesive – resulting in sag and finally for the adhesive failing completely. 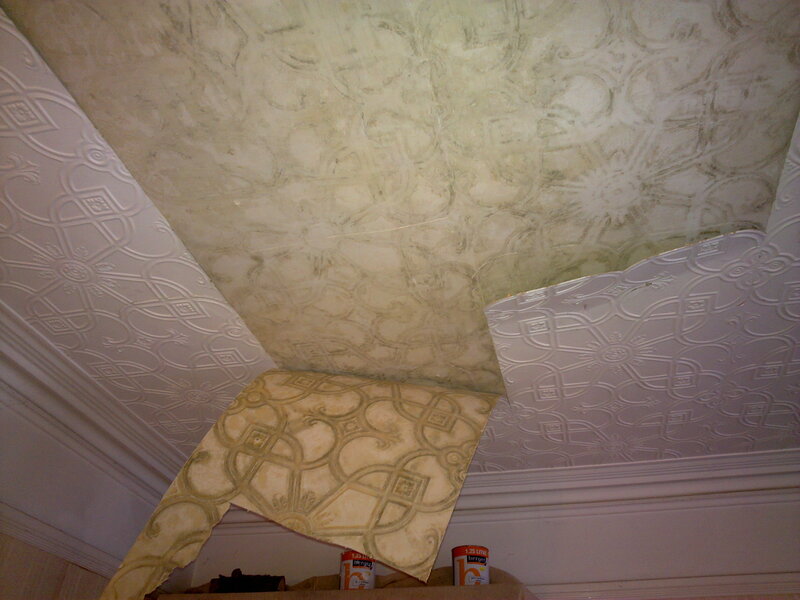 My client awoke one morning to find their ceiling paper on the dining room floor. 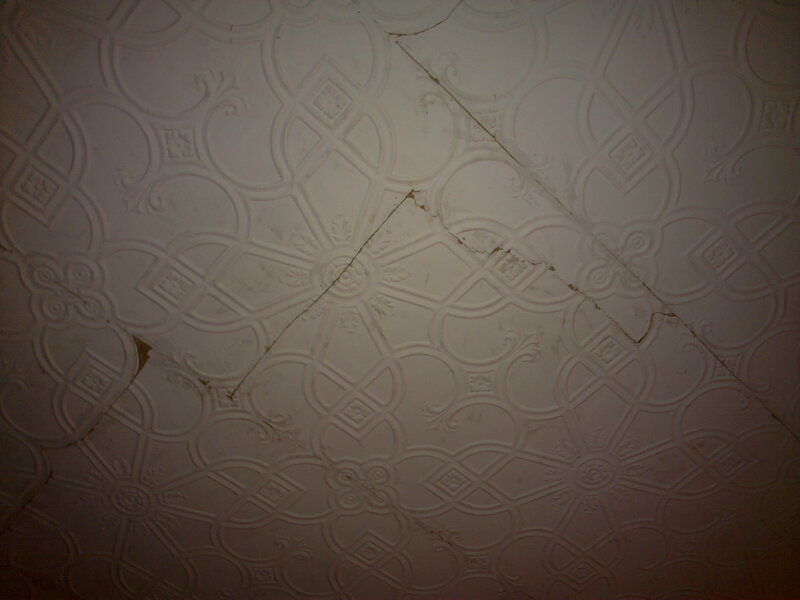 The last images show the finished ceiling; filed, painted and ready for another one hundred years. 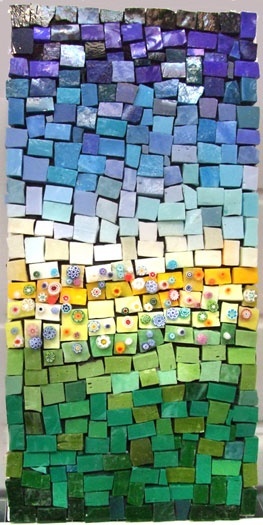 Over the years I have been involved in many projects of a similar nature, each bring new challenges and delights. It is an honour to breath life into such important examples of wall coverings from a by gone era.